Liz is a high school teacher-turned-blogger with a background in language arts, civics, and music. She creates original fashion, travel, and lifestyle content at With Wonder and Whimsy.She is also a freelance writer, influencer, and style columnist for FabUplus Magazine. She started blogging as a creative outlet for herself, and it’s become a way to cultivate happiness, celebrate life’s small moments, and share it with others. Her writing connects with other women who are looking for ways to celebrate the everyday, cultivate their self-confidence and unique sense of style, and then pay it forward for the women in their lives. 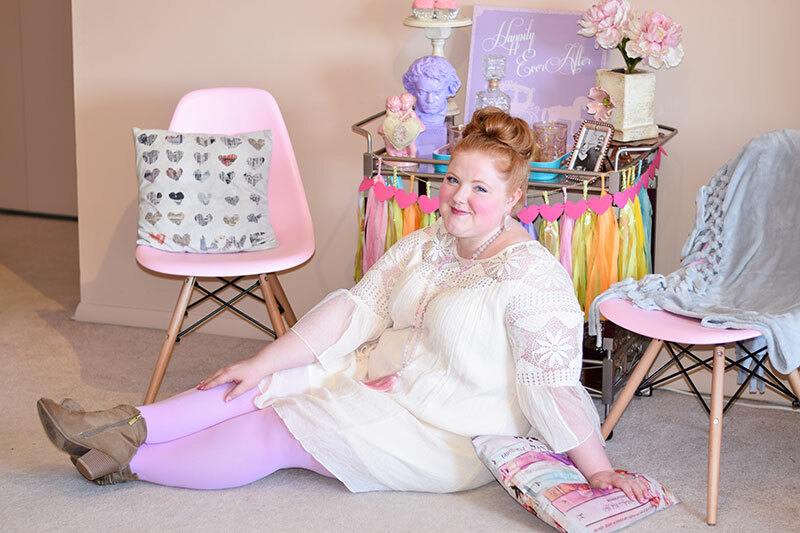 Embracing her style and sharing it with others has made Liz much more confident, and it has inspired her to welcome more color, humor, and whimsy into other areas of her life. - "My style is a reflection of who I am. It represents my values, and by cultivating that passion in small ways everyday, it’s given me more passion for life. Fashion blogging has helped me connect with myself as a woman. It’s helped me discover my own unique beauty and my own unique style and it’s helped me appreciate the power of fashion. Blogging gives me a voice, but so does getting dressed. Fashion rules try to silence that voice by telling us what not to wear, what is and isn’t flattering, and how to constrict and contort our bodies to look a certain way. Those rules are so confining and disheartening. The more I’ve blogged, the more I’ve come to embrace a single style mantra: wear what you love. When women see you rocking a style on the street and say they wish they could wear it, tell them they can. The more people wear what they love, the more they’re encouraged to do what they love and live loudly. Wear what you love. Celebrate life. Cultivate your passions. Get plus size tights in 50 different colors and sizes up to 5X HERE.